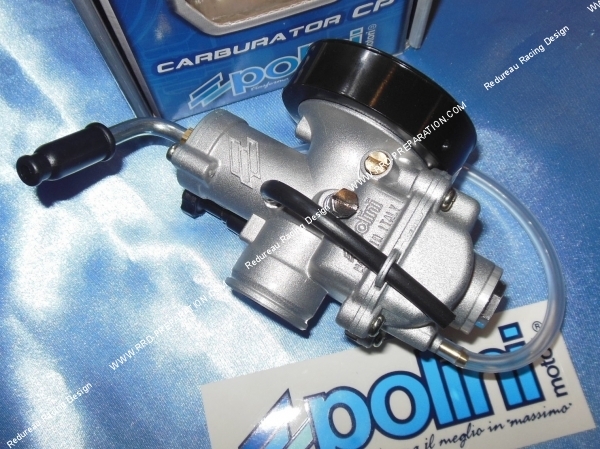 104,07 € 104.07 tax incl. 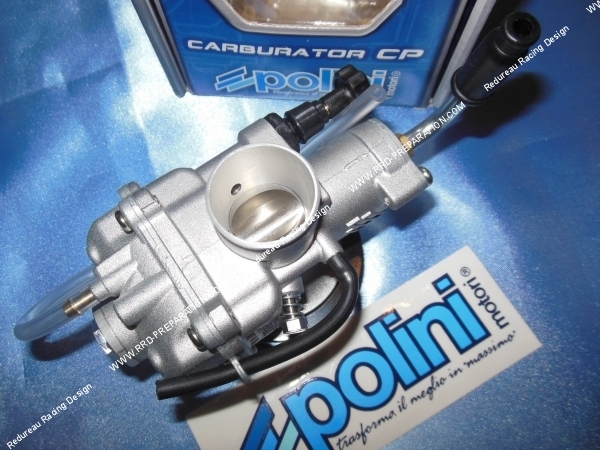 Here is the most powerful version of the CP type 21mm POLINI MOTORI, basic CP carburetor is a high-performance model, made in Italy 100% and not in China, high quality that is easier to adjust! Unlike the standard model which is reserved for configurations not exceeding 13,000 towers! 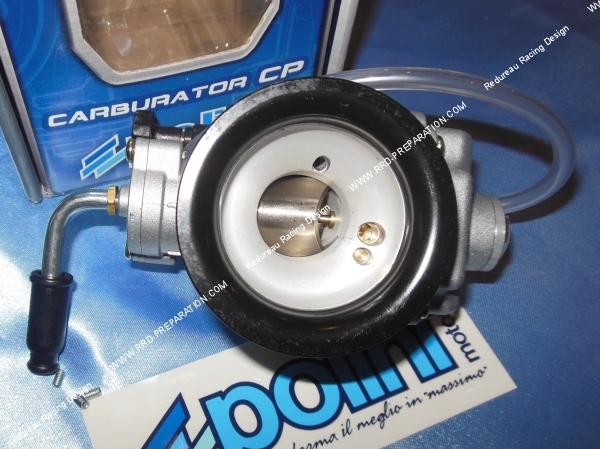 This CP EVOLUTION releases its performance and feeds without problems between 12 000 and 15 000tours! 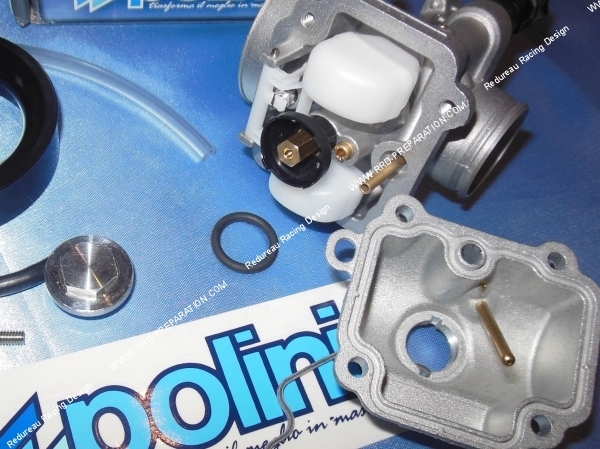 Everything in this piece is of course made in Italy (and not in Asia), which makes it a high-end element that it is in its machining or finish, very clean and smooth. 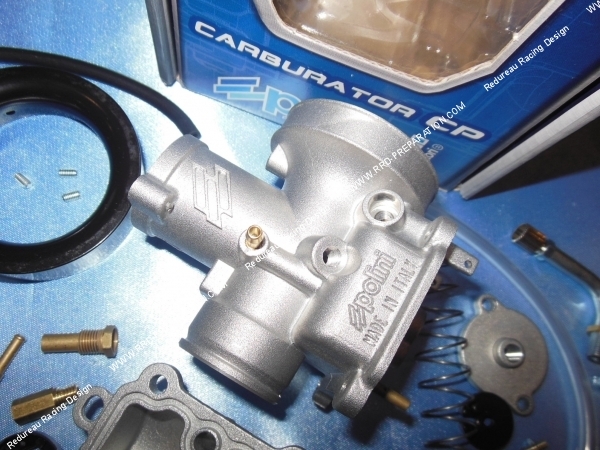 It has a separate grease outlet, a plug for depression and a lever choke that you can switch to cable if you wish. 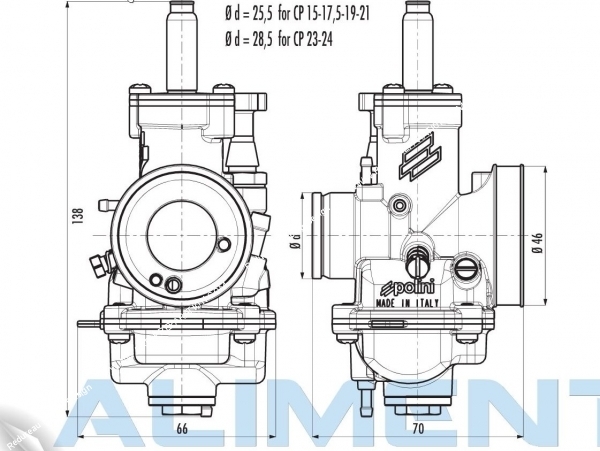 His body is made entirely of sturdy and lightweight aluminum alloy. 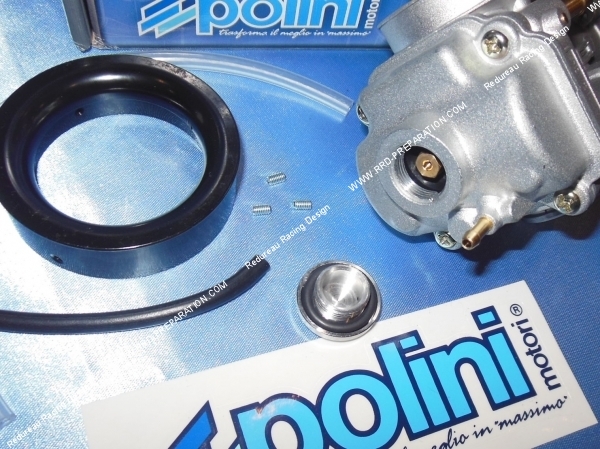 A tank also made of aluminum, simple and efficient settings, a whole internal system specific and efficient. 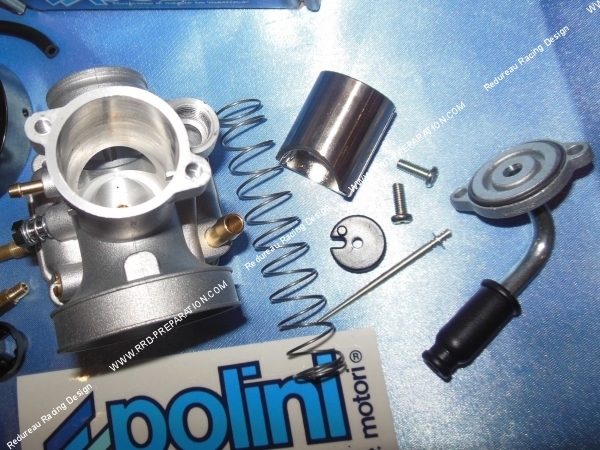 Its attachment on intake pipe is Ø28,5mm with anti-slip lip for the connecting sleeve. 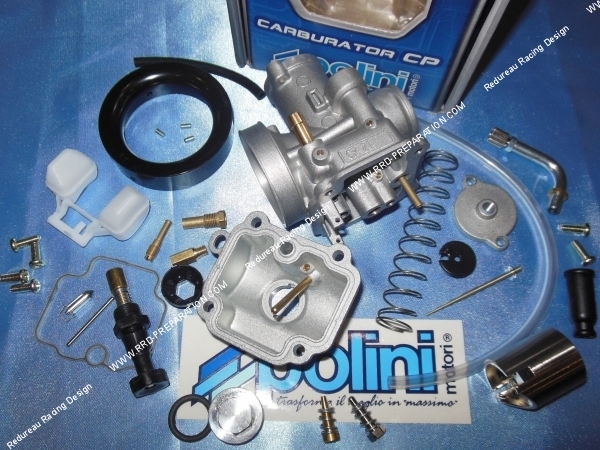 All these parameters are of course modifiable with the spare parts that we offer in accessory links or directly available in the category spare parts and adjustments for carburettor POLINI CP. 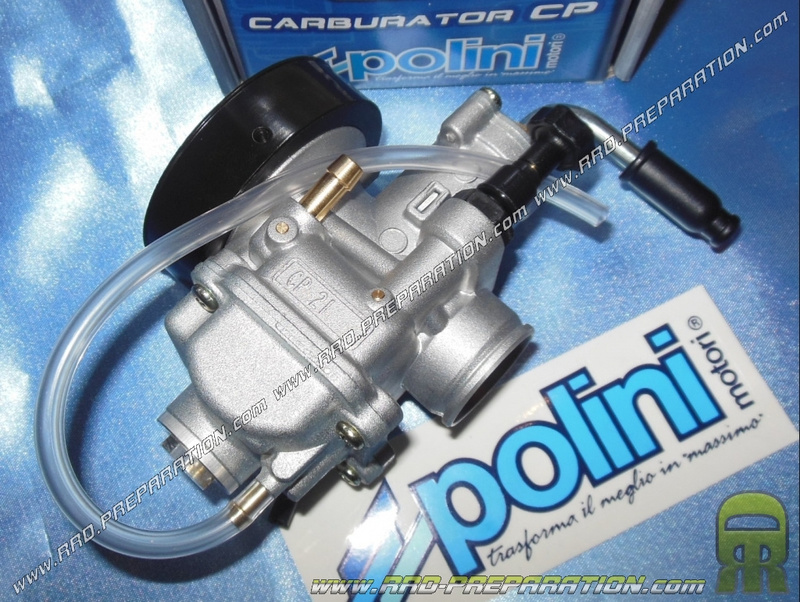 This carburettor, you will understand it is specially designed for the competition, the highest performances and will be ideal to accompany a high engine kit big engine (70, 80cc ...) with racing exhaust, crankshaft racing, prepared admission. ..